We are busy gearing up for our Show your Disney Side at Home Celebrations party and what's the best way to get it started? 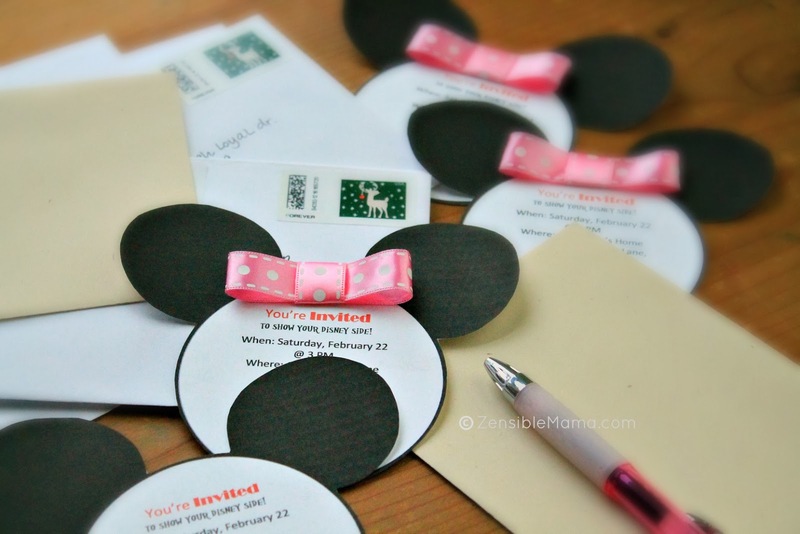 With a Disney-inspired party invitation cards of course! I have created an easy-to-use, versatile template that can easily be accessorized with a ribbon - as shown on picture above - for a "Minnie" version or plain for "Mickey". You can also use it as a banner, decorative accent to your treat bags, wall decor or anything your imagination will allow you! Right-click on the image to save it. You can add text to the template via Word or your preferred editing software. You can also re-size it according to your preference. I created my invitation cards via word and duplicated the image to have two in one page. 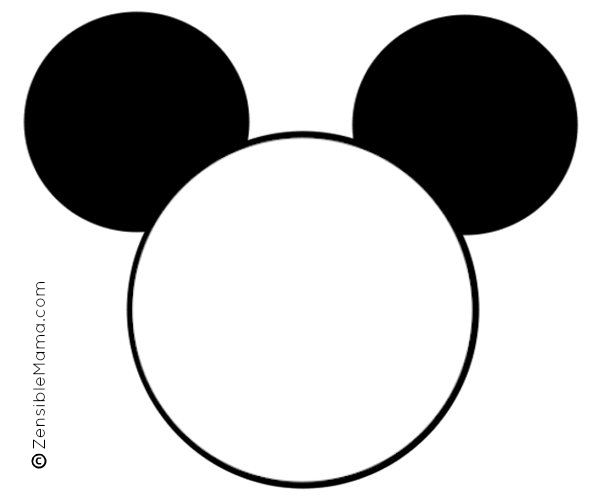 You can PRINT the PDF file here: Two Mickey Mouse head if you prefer it blank. 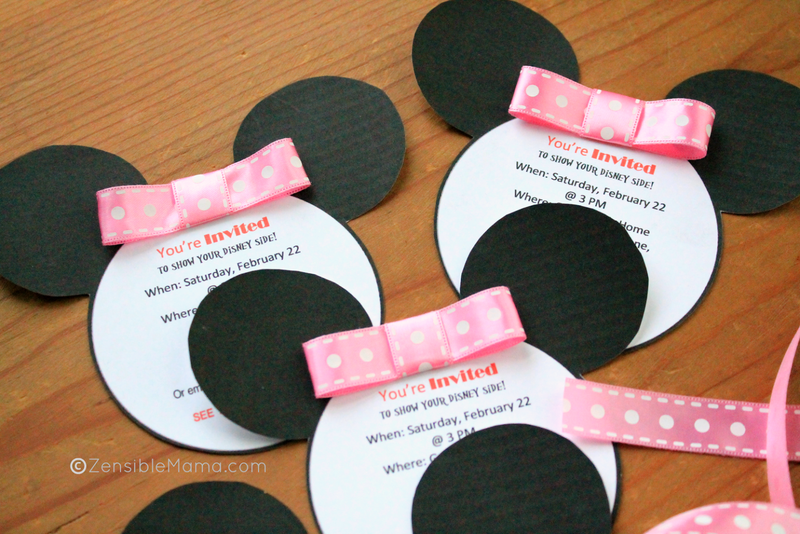 You'll need a 5/8 inch Pink or Red Ribbon with Polka dots. Cut strips of 5 inch long and 2 inch long. Take the long strip and hot glue the back side of one end. Attach the glued side on to the opposite end, front side up. Do the same with short strip. Wrap it around the looped long strip, making sure it's on the center. Glue it in place. Then glue finished ribbon on the top of the card in between the ears!